This award is given by the Public Lands Foundation for the purpose of perpetuating and enhancing the proud tradition of dedicated public service in the BLM’s stewardship of entrusted lands and resources. 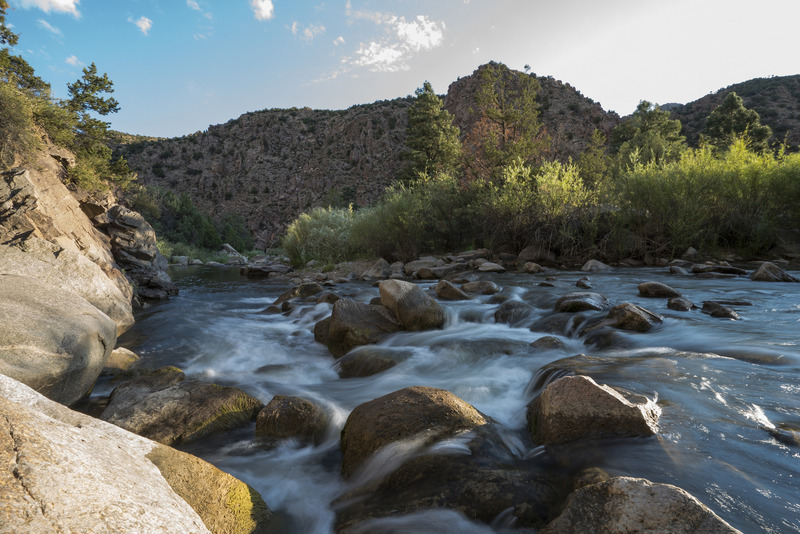 It is intended that this form of recognition will foster BLM employee pride and productivity as well as stimulate the public’s interest in federal resources and the quality of the agency’s management. The award is in recognition of prestigious lifetime performance that benefited the management of Public Lands administered by BLM. The award consists of a personal engraved plaque, a commendation letter, and a free one-year membership to the PLF for the recipient or family member. In addition, the name of the selected individual will be added to the permanent PLF Award Program website and the Honor Board on display in BLM Headquarters, Washington, DC. The award is granted as a Living or Posthumous Lifetime Service Award and may include two individuals per year in each category. The Public Lands Foundation will call for nominations annually through the Spring Monitor. Nominations will be welcome from all sources, including BLM employees and organizational units, PLF members, interest groups associated with various public land issues, and local and state government officials. For full consideration, a nominee’s performance must meet the eligibility requirements and be documented against the evaluation factors herein. Nominations will be evaluated by an Awards Committee for each category and concurred in by the PLF President. Nominations not selected for an award the year submitted may be reconsidered by the Awards Committee the following year subject to an updated status check with the nominating source. Further, 1-Nominations may be for any career BLM employee regardless of job, grade, position, profession, etc., 2- Nominees must have had a career that lasted at least 30 years of which 20 years or more were with BLM. The Awards Committee, with PLF President concurrence, may waive this requirement where the nominee substantially completed the specified time and the career was terminated by death or permanent disablement, 3- Nominations must have one endorsement by someone who has knowledge of the nominee’s accomplishments. Email award nominations to Maggie Wyatt at mwyatt@publicland.org. 1. Depicted sustained dedication and performance with respect to issues and challenges that resulted in significant advances in management of public lands. 2. Personal attributes that exhibited exceptional vision and foresight that affected public land resource management, and further, inspired various public and employee participation and initiative. 3. Exceptional professionalism and public recognition in leadership that “made a difference,” locally or nationally. 4. Instrumental in the development and effectiveness of employees for future management and custody of the public lands. 5. Any other factors that demonstrate the nominee’s commitment and resourcefulness to warrant recognition for furthering the stature of career public service. Public Land Professional in a managerial or administrative position. Demonstration of outstanding professional performance to address or resolve a particular major issue, challenge or project of broad public interest nationally. This includes work done at all levels of the organization. For example, the action taken could be at the field office level to resolve an issue or challenge by taking action that is recognized as a best management practice nationally or by adoption by other offices. Recognition could come internally from BLM or externally from partners or stakeholders. Demonstrated commitment to implementing the Federal Land Policy and Management Act (FLPMA) through a collaborative approach to public land management, especially when faced with strong opposition from any source. The nominee’s actions illustrate commitment to all aspects of FLPMA as they strive to address a particular issue or move forward an important opportunity for improve Public Land Management. This includes exhibiting outstanding personal courage and risk taking to take controversial positions in favor of long-term public interest in land conservation, stewardship and protection under FLPMA. The nominee’s application of laws focused on results is key to the long-term sustainability of Public Land resources. Demonstrated sustained dedication to “make a difference” through outstanding vision and foresight in the recognition of problems and opportunities significantly affecting public land resources and moving to effectively take action address these matters. Demonstration of outstanding professional managerial or administrative performance to address or resolve a particular major issue, challenge or project of broad public interest nationally or that results in internal operations improvements recognized as a national best management practice. Demonstrated leadership in implementing the Federal Land Policy and Management Act (FLPMA) through a collaborative approach to public land management, especially when faced with strong opposition from any source. The nominee’s actions illustrate commitment to all aspects of FLPMA as they strive to address a particular issue or move forward an important opportunity for improve Public Land Management. This includes exhibiting outstanding personal courage and risk taking to take controversial positions in favor of long-term public interest in land conservation, stewardship and protection under FLPMA. The nominee’s application of laws focused on results which is key to the long-term sustainability of Public Land resources. Candidates for the managerial award will also be judged by their demonstrated ability to lead and develop employees as future leaders of BLM to sustain a successful, field focused organization. Nominations are accepted October 1st to December 1st annually. Nominations are welcome from any and all sources including BLM employees and organizational units, PLF members, private interest groups associated with various public land issues, and local and state government officials. For full consideration, a nominee’s professional performance must be documented against the published evaluation factors. Candidates not selected for the award in the year nominated will be considered with candidates nominated the following year. The PLF Awards Committee will evaluate candidates against each criterial. There are no weights assigned. Nomination write ups must address each of the criterial by number. Concurrence with the selections is obtained from the PLF President.